Posted September 13, 2018 by admin. 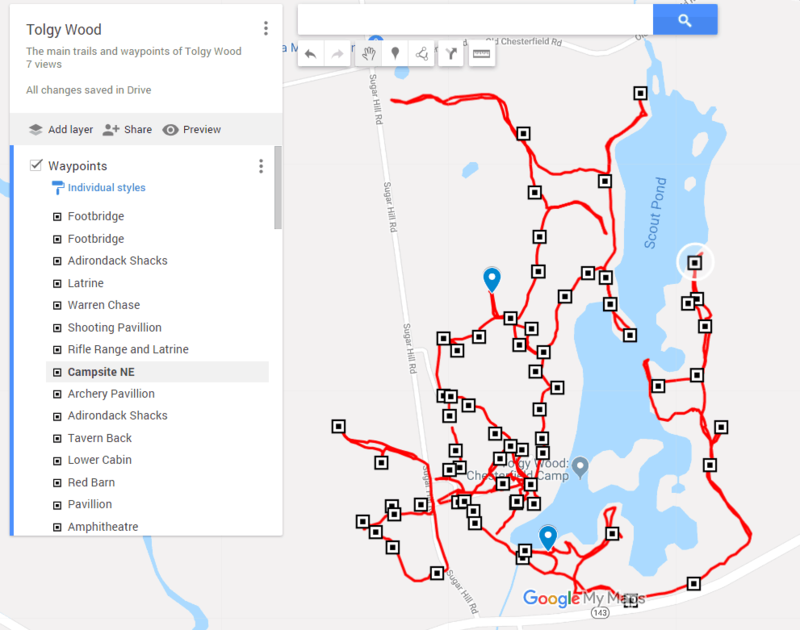 Thanks to some intrepid volunteers, many of our existing trails have been roughly mapped out and the most prominent features and waypoints have been marked with GPS coordinates. This will allow us to make new and more accurate maps of this incredible property! Stay tuned! Linda E. Neville on COMING SOON! © 2018 Tolgy Wood LLC. All rights reserved.